In addition to being recognized for success, the band is known for the drama surrounding the exits of former members. The (multiple) exits of singers David Lee Roth and Sammy Hagar were surrounded in controversy and mass press coverage with various contrasting press statements between them and the band. 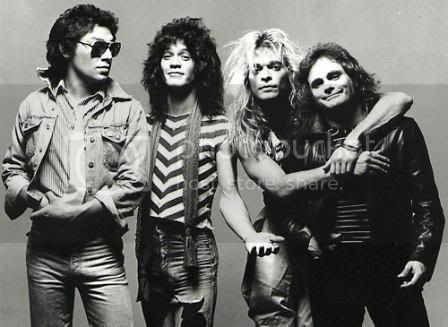 The band changed style dramatically following the departure of Roth, with his solo career being more similar to the band's original work than Van Halen's own songs with later singers. More recently, Michael Anthony was kicked out of the band for controversial reasons. Following their 2004 concert tour the band was on a hiatus from the public until September 2006, when new bassist Wolfgang Van Halen's place was confirmed and Roth-reunion rumors began to re-surface coinciding with the band's Rock and Roll Hall of Fame induction on March 12, 2007. After years of speculation, Van Halen began a tour with Roth in late 2007 across North America. The tour continued into 2008. An album was proposed to follow. Along with this, a live tour DVD was announced at their May 13, 2008 concert at the Izod Center that would contain recordings from several performances on their current tour. Definitely a favorite band of mine. There best album Is diver Down without question IMO and 'Ain't Talkin Bout Love' is my favorite track.